In my prevoius article, I told you about the spark that sparked the idea of amara & Rrawganic and promised an article explaining the Creation Process. And so, we had the idea, we had the spark that kindled the fire in us and a huge challenge to face. Why a challenge? Because none of us had been involved in confectionery, food processing, manufacturing, etc. Yes, we had rich business experience, but in areas light years away from the new one. engineer. As it is said, there is nothing accidental in this life, because now he is responsible for choosing and maintaining the machines in our workshop. We started with no experience and with a lot of optimism. We had a clear vision – a healthy dessert bar of irresistible taste. We were quite aware of the fact that there are already quite a few bars of this type on the market, but we just looked on the bright side of the competition and we thought they have set a very high bar that we must raise. The first rule to be better than someone is just to be different – copies are always worse than the originals. 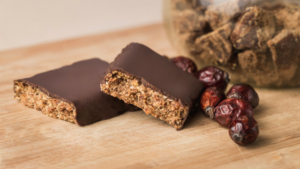 We have analyzed the existing raw bars on the Bulgarian and foreign markets and we have found that the composition of all is 50-60% dates + the so modern Superfood + a little cashews or almonds. I do not know what you think, but these bars with dates are too sweet for my taste. I like eating sweet things, I can eat only sweets all day, but they should be moderately sweet for me. It is good to taste of the other ingredients as well. After this research, it was clear that we had to escape the dates – unfortunately they cannot be completely avoided because they are the adhesive ingredient, but their content in amara & Rawganic is minimized. 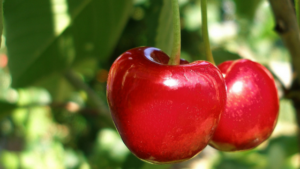 However, we looked around and found some lovely Bulgarian cherries, apples, prunes, apricots. Their taste changes from sour to sweet in all possible variations, they are unique. And as far as the beneficial substances in them are concerned, we will have to dedicate at least 10 more articles to that. Our other secret weapon is cocoa butter. You must know how temptingly the cocoa butter smells. 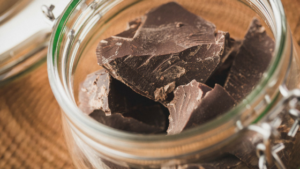 If you walk into our workshop, you’ll feel that – the smell of melted cocoa butter … Do not ask me how many bars I eat every day, I’m just addicted! But our greatest discovery and advantage over the other raw bars is His Majesty THE CHOCOLATE. 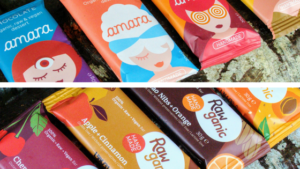 We called our chocolate bar amara for a reason. One of the meanings of the word ‘amara’ is ‘love’, the other is ‘bitter’. One can only fall in love with a tempting sweet bar covered in dark chocolate. Names, trying recipes, sites, trying recipes again, branding, certification, recipe improvement, premises, rentals, machines, more recipe improvement, packaging, all kinds of registrations, exhibitions and fairs… These are a small part of the things that pop up into my head when thinking of the year before we launched our products on the market. And we thought things would happen quickly and smoothly. This creative process cost us a lot of time, money, energy, and sleepless nights. I remember the countless times that willingly or unwillingly I got up at 4 o’clock in the morning to do some of the endless number of tasks. It’s not a complaint, just dreams have their price. We have a lot to pay until we reach our courageous goal – amara & Rawganic to conquer Bulgaria and the world! Do you think amara & Rawganic deserve this? If you think they deserve to reach more people, share this article and help us on the way to accomplishing our mission. Thank you with all my heart! What is the legend behind amara & RawGanic?